Unai Emery is clearly not afraid to experiment. Facing something of an injury crisis at left-back, Emery has been forced to mix things up ahead of his first season in the Premier League. The new Arsenal manager has revealed that he's had to deploy Danny Welbeck on the left side of his defence in training because of injuries to Sead Kolasinac and Nacho Monreal. Neither Kolasinac nor Monreal are expected to feature in the Gunners' season opener against defending champions Manchester City on Sunday afternoon. Ainsley Maitland-Niles replaced Kolasinac when the Bosnian full-back came off injured in a preseason clash with Chelsea two weeks ago and it remains possible that the youngster will start against City. But Welbeck has been showing off his versatility on the training ground and we shouldn't rule out seeing the England forward utilised at left-back at the Emirates. 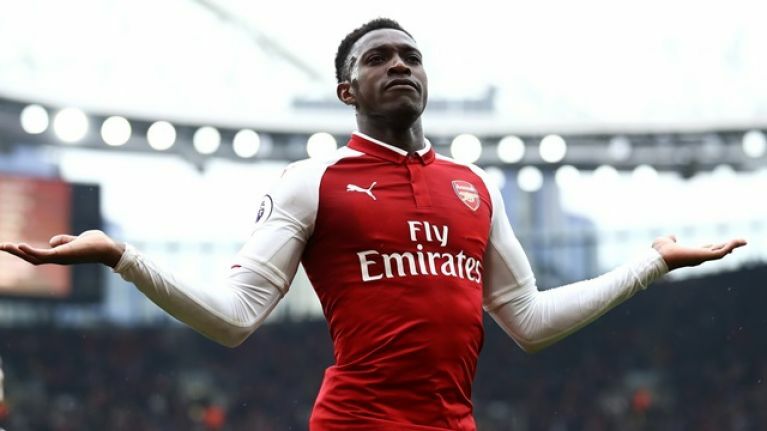 "Danny Welbeck is one of the players who has a multi-position possibility," Emery said. "Right winger, left winger, striker, and also yesterday he worked with us at left-back -- his performance was good! I like this spirit. To help positions across the team with positive spirit." Welbeck had been linked with a move away from Arsenal this summer and while the deadline for English clubs' ability to purchase players has passed, they are still allowed to sell until the end of the month. But Emery has insisted that he will not be parting ways with the 27-year-old any time soon. "I said to him when he arrived with us after the holidays, I want the best performance in his career from this player -- and to work for that," Emery said. "[We will be] helping with his quality and also getting better with his quality and his data in this year. More goals, more assists. Working to help when we need quick pressing against the opposition. "For me it's clear. Yesterday the transfer window closed and our players will stay with us." His manager might be thrilled about Welbeck's versatility but Arsenal fans are crossing every body part they have in the hope that they don't see their striker line up at full-back against the rampaging attack possessed by Pep Guardiola. Call it a hunch, but I think that playing Danny Welbeck, a striker, at left back for the first time in his career against the champions and former player of the year Riyad Mahrez might be a bad idea.